Open your Mystery Box Private!, have a look inside. 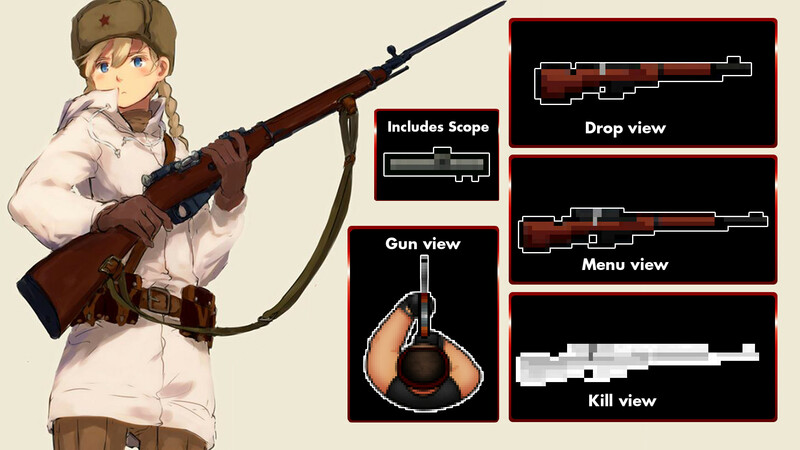 It seems you got yourself the legendary Mosin Nagant! What a beauty for hunting the prey. This weapon once belong to a man called The End, he's called The End because everything that breathes and moves he kills in a blink on an eye. He's a legend, known as "Father of Sniping". I'm surprised that someone survived to tell the story, maybe he died of old age... I guess we will never know what really happened to the legend. It's 2018. Create some hd skins please. 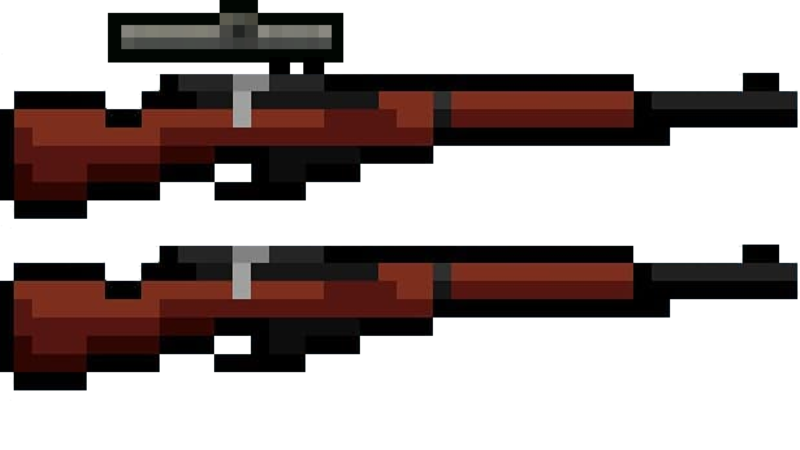 Agreed with @ Masea:, in hand sprite for some reason has no bolt and gunstock seems to be very short. Although, even whether I like the concept and the box sprite so far, I stop right there when I see what's in it just before I press "I like it!". The weapon simply doesn't seem good and I can't even like the file entirely since there is no way to see the hand and the drop images unless someone downloads it and expedites a few screenshots for us.